I know that may sound like an oxymoron to some, so allow me to elaborate. My colleague and I curate and teach a wine education and tasting program for our internal staff . It’s meant to provide not only a basic overall knowledge of wine, but to learn how to taste and utilize all of your senses. Granted, we start the class at 5:15 so there are some that are just looking for a drink after a long day of work. 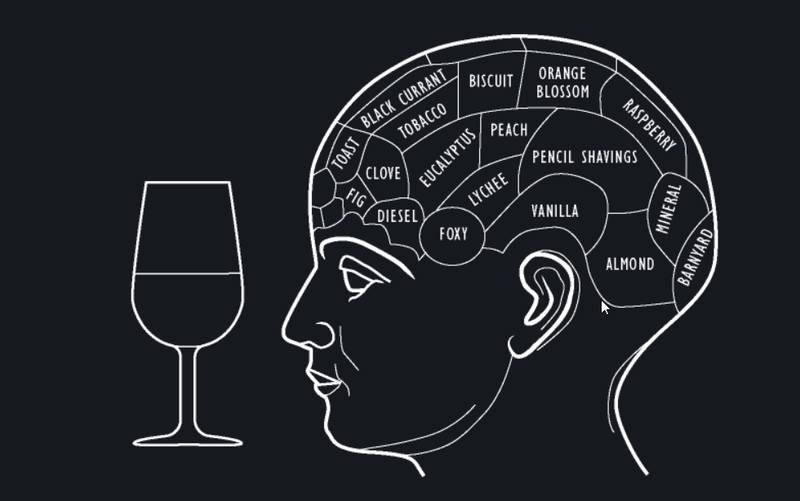 But as I was reminding everyone that we are “tasting” not drinking, I inadvertently came up with a catch phrase that I like to iterate as much as possible during these classes… that everyone should be “thinking while your drinking”. That doesn’t mean you should be figuring out your dinner plans or performing high level mathematics while sipping on some lovely juice. It means that you should be examining the wine to some extent in terms of its aromas, flavors, mouth feel, texture, finish, length, possible food pairings and most importantly…if you are enjoying it and why or why not. It is easy to predetermine whether you think you will enjoy a wine based on the grape, region or even price. But we try and present classic examples of each grape variety produced in different regions to really determine its characteristics and how it can vary from region to region and why that may be. So by actually experiencing various wines from all over the world, everyone is beginning to figure out their own palate without being influenced by stereotypes or predisposed opinions. For example, this week we took on Riesling…a very polarizing grape as most people either love it or hate it. Regardless, there is a general connotation out there that Riesling is sweet. Guess what, not so much! Of course there are many sweet Rieslings and some are even meant to be dessert wines. But they can also be made in a dry, crisp style and have very little residual sugar. In German wines you will often see Kabinett or Trocken on the label, which will note that it is in fact a dry Riesling. It was great to see some people come into the class “knowing” they didn’t like Riesling, but by the end of the class enjoying some of the selections that they weren’t aware even existed. So by thinking while you’re drinking, you start to take into account all the different characteristics that make a wine what it is. How intense the aromas are on the nose, what kind of fruit aromas and flavors are present, how much oak was used and what kind, how acidic or tannic a wine is, what kind of food would make an enjoyable pairing and of course if you find a particular wine pleasing. After all a wine can be well made, expensive and have a 95+ rating…but if it doesn’t itch you where your scratchin’ than all of that don’t mean a thing.